How to Make the Perfect Bowl of Miso Soup Too many times, we encounter a mediocre bowl of miso soup, even at restaurants in Japan. It's one of the simplest things to make, yet too many people don't take great care in making this humble soup.... The dashi I also use for making noodle soup, also one of my almost daily food, next to miso soup. 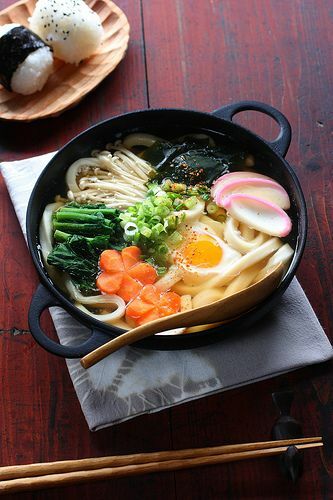 With shiro miso I use udon noodles, sliced lotus root, small cut scallion, seaweed or a mix of kinds of seaweed (depends on my mood and apatite and taste), raw egg (but only at own risk :) ) and thats it. Once you have the dashi made, it’s just a simple process of prepping some tofu, green onions and wakame seaweed. Then a few spoonfuls of miso and – tada – miso soup! One good trick I’ve learned from watching my friend make miso soup is when adding the miso paste, place it into a strainer and rub the miso paste in the soup base through the strainer. This will prevent clumps of miso... Step 1 Bring the dashi to a boil in a saucepan. Add the wakame and mushrooms (if you are using them), and simmer for 1 minute.Add the miso (using one of the methods detailed above) to the dashi, and then the tofu*, and reheat slightly (but do not boil). Oh, so goooood! I only had wakame (we ended up eating the potatoes I bought for this class a couple days ago, :/) but it was still so good. I actually like very plain miso soup so that was fine.... This 15 minute simple vegan miso soup is one of my favorite dinner recipes, it’s quick, easy, cheap and I LOVE how it tastes. Everyone can make it, even those who doesn’t cook. Everyone can make it, even those who doesn’t cook. 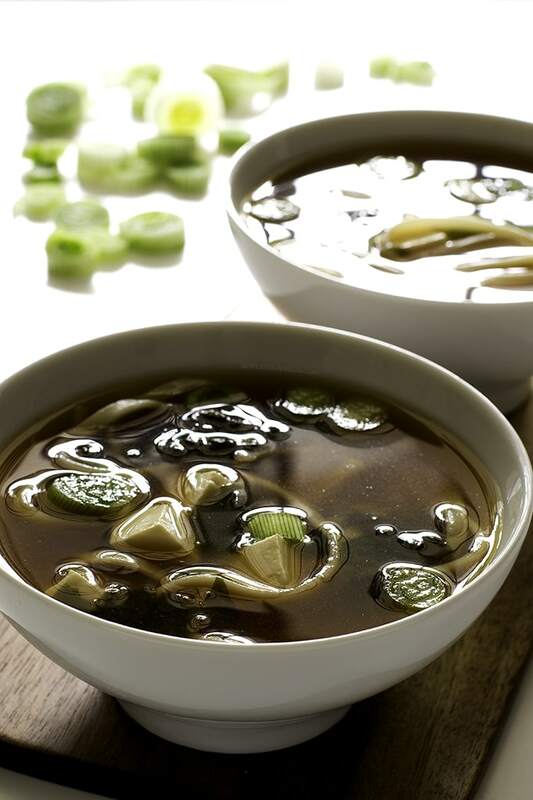 Kombu is commonly used to make dashi, a flavorful broth traditional to Japan and used to make miso soup. Kombu and wakame have many overlapping health benefits and a similar flavor profile, but wakame is slightly sweeter. 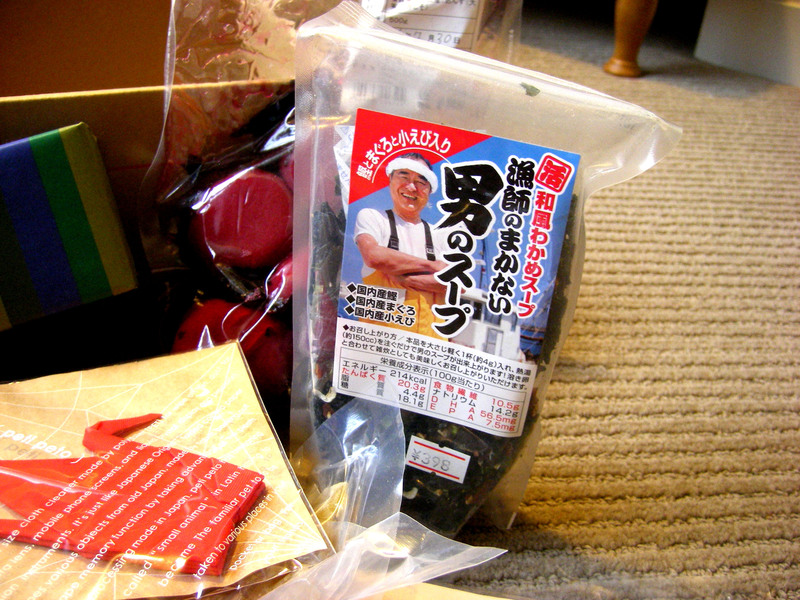 Both kombu and wakame are commonly used in seaweed salads and soups. Step 1 Bring the dashi to a boil in a saucepan. Add the wakame and mushrooms (if you are using them), and simmer for 1 minute.Add the miso (using one of the methods detailed above) to the dashi, and then the tofu*, and reheat slightly (but do not boil). Make dashi: In a large pot over medium heat, bring water and kombu to a simmer. Remove kombu as soon as the water starts to simmer. Stir in bonito flakes and bring to boil, let boil 5 minutes.